Milan Urlich, 28, of Kaleen has been remanded in custody this morning after being charged with the murder of Evatt man Andrew Carville in November and the disposal of the 52-year-old’s body soon afterwards. 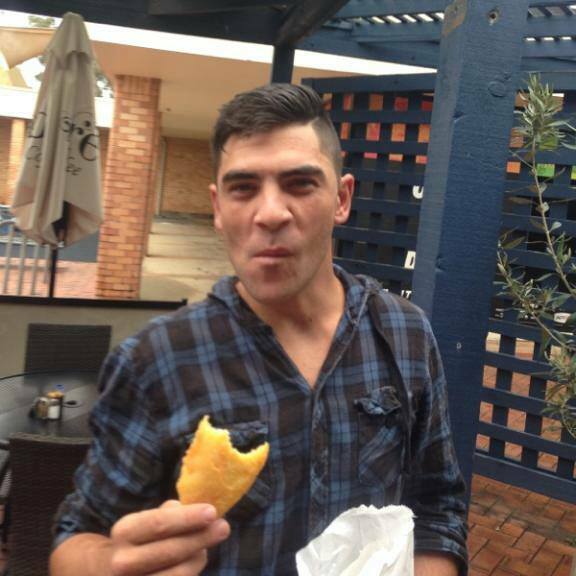 Urlich was charged with murdering Carville between November 3 and 6, 2015 and disposing of his body at Sutton Road, Majura between November 3 and 15, 2015. Magistrate Karen Fryar also heard of two existing charges Urlich faces, in relation to violent conduct and resisting a public official in March this year. Urlich did not enter a plea or seek bail, and the matter was adjourned for three weeks. Urlich had been arrested yesterday afternoon after nearly six months of investigation by ACT Policing during which they made several calls for assistance from the public as they collected evidence. He did not speak or turn to face the public gallery at any point during his appearance this morning, though family members sat looking on before leaving together. Urlich, who looked to be around 190cm tall with an athletic build, was dressed in a large khaki-coloured padded corduroy jacket, blue jeans and sneakers. His thick, dark brown hair was neatly cropped and his face clean-shaven. Carville was reported missing from his Evatt home on November 5, 2015, with his remains located in Majura on November 19. The police investigation into the murder of Carville is ongoing. Homicide detectives were last night in the process of searching a property in Kaleen linked to Urlich. In January, police told media they were focusing their investigations in the case on two ACT resident suspects, a man and a woman, one of whom was Carville’s housemate in Evatt, and one who was the owner of a 1986 cream coloured Toyota Landcruiser. The ute was found dumped at Molonglo Gorge in mid-November last year and had been seen at Mr Carville’s residence shortly before his disappearance. The owner of the ute was subject to a number of forensic procedures at that time. Anyone else who may have further information in relation to the murder is asked to contact Crime Stoppers on 1800 333 000 or via https://act.crimestoppers.com.au. Information can be provided anonymously.